After turtles mate, the female digs a ditch and lays the eggs there to fend for themselves.The female picks a spot to lay its eggs which can vary between banks, swamps or pools. After the eggs are laid, the female turtle returns back to the water and swims away. 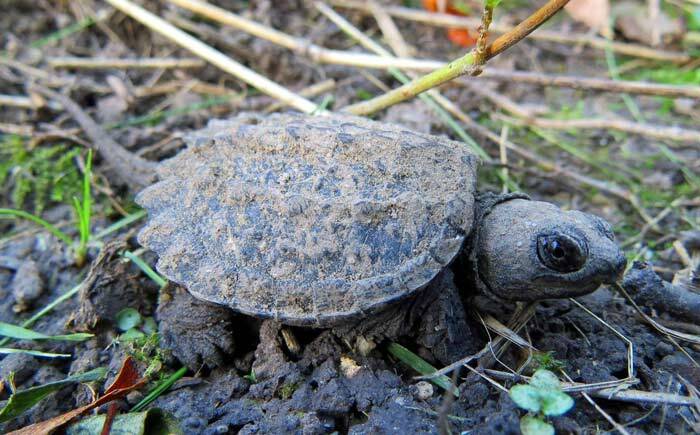 It is estimated that more than 90 percent of snapping turtle eggs are destroyed by hungry predators. The eggs that do survive the growth process still have to make it the water before being snatched away. Sexual maturity on a turtle is measured more by its size as oppose to its age. These turtles are ready to mate when their shells are approximately 8 inches long.